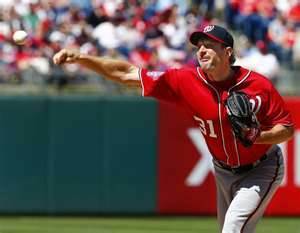 Back on June 14 Washington’s Max Scherzer tossed a one-hitter versus the Brewers. In his next start six days later, Scherzer did it one better by pitching a no-hitter against the Pirates. In tossing a one-hitter and a no-hitter in the same season, Scherzer became the 24th pitcher in the last 75 years to do so. Here’s a rundown of those 24 pitchers in the last 75 years with both a no-hitter and one-hitter in the same season.